The California-based company, valued at more than $8bn in October, is a major trading venue for cryptocurrencies, including bitcoin, the best-known digital coin. The company has partnered with Apto Payments, previously Shift Payments, which previously ran its own ‘Shift Card’, allowing users to spend crypto from their Coinbase accounts in the US. In February, Apto abruptly announced it would be “retiring the programme” with little explanation. 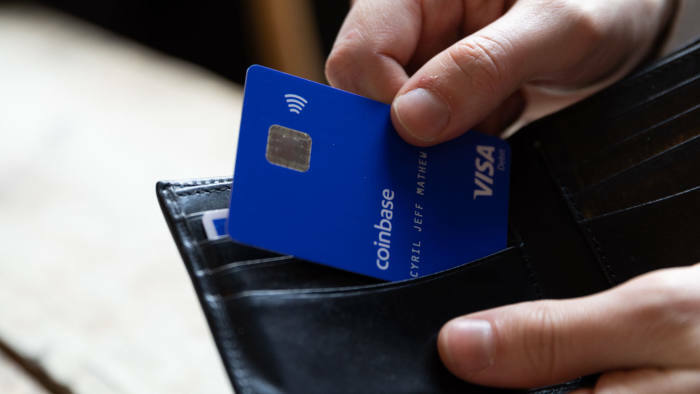 Coinbase has now partnered with Apto to provide “technology and support services” for its new card. The company said its new card is the first in the UK and EU to allow users to spend fiat currency and have a corresponding amount of cryptocurrency debited directly from their accounts. An accompanying mobile phone app will allow customers to choose which cryptocurrency they wish to debit. Zeeshan Feroz, the head of Coinbase in the UK, said there was currently “no timeline” on the new card’s launch in the US.